Today in my best-of-Marvel retrospective, we’re looking at ten mega-sized runs from Secret Invasion in 2008 to Avengers vs. X-Men in 2012 that really ought to be omnibuses. If you want to see any of them in that mega format, perhaps they ought to be your vote in the Most-Wanted Marvel Omnibus Secret Ballot – choices are due this Sunday! 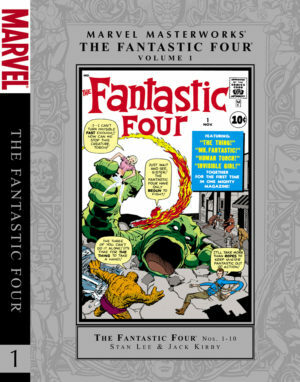 However, even sans a mighty omnibus edition, all of Marvel’s modern runs are easily collected in hardcovers and trade paperbacks listed in Crushing Comics’s Guide to Collecting Marvel Comic Books, and 100% of the issues are available on Marvel Unlimited, a $10/month Netflix-for-Marvel-comics. Whether you’re a new comics fan or a grizzled vet, read with this in mind: These potential mappings are just my own shot, and the may include errors, omissions, or choices that could be improved. That’s part of the fun, for me – it’s like playing “Fantasy Corrections Department”! If you see something fishy or have a vociferous disagreement, I’d love to know what that is via the comments, below. This is the end, my friends! The last in a series of four posts covering how Marvel could cover every X-Men comic book in omnibus volumes. This post covers every X-Men series from Messiah Complex to the end of Marvel Now in an effort to give you maximum ideas for the The Most Wanted Marvel Omnibus Secret Ballot, where you vote for the comic runs you’d most like to see in an oversized format. Monday I covered all of X-Men from 1963 to 1991, Tuesday I reviewed 1991 to 2001, and yesterday I broke down 2001 to 2008. With 21 more omnibuses from Messiah Complex to AvX and another 10 from Marvel Now, this edition brings our grand total of potential X-Men volumes to 113 possible omnibuses – which begs the question: How many of these could we possibly see in our lifetimes before books become completely obsolete and comics are downloaded directly into our brains? At Marvel’s current rate of only a handful of X-Men omnibuses a year, it’s never going to happen. Yet, with most Marvel omnibuses selling between 1,000 and 2,500 units in their first week, it makes me wonder how many of these books we could see if Marvel abandoned the outdated Direct Market model for determining their pre-order volume and sell-through.